Connected by blood ties and bonds of friendship, the Hell Yeah! world chronicles the lives and loves of a family of Texas men and women, the McCoys, who live by the code of the cowboy. Adventure, unabashed sexual tension and tender intimacy plays out in a saga of stories that offer action and humor, all set in scenic locales from the Hill Country of Texas to the mysterious bayous of Louisiana. The plots of the tales are as varied as our own lives can be, but the world is one where right prevails, love conquers all, and holding out for a hero is not an impossible dream. SCROLL DOWN FOR OUR RAFFLECOPTER CONTEST! Becca Everett is successful in life, but not in love. She got used to putting others before herself. After her parents passed away she was left to raise her younger brother on her own. Now that he’s out of the house she can finally take care of her own needs. 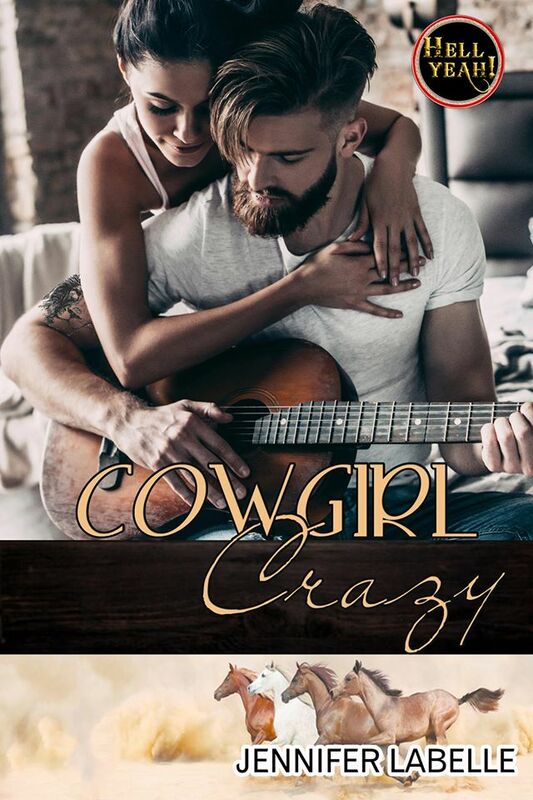 She’s got a secret, and it’s called Cowgirl Crazy. A popular website she created for like minded individuals like herself, a little lonely but wild deep down. There she’s able to open up through the stories she shares and the sexual experiences she desires. Without anyone knowing who she actually is. It’s perfect. Who needs a man when you have a chest full of toys to satisfy you? 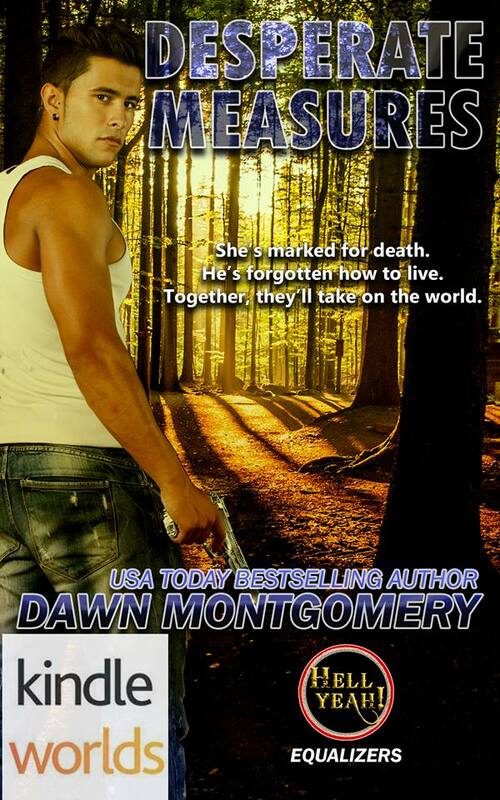 Fate has a different plan when it throws a motorcycle riding tattooed temptation her way. Their chemistry ignites, and they seem to have a lot in common but she’s wary. Two souls on fire. An ancient legend freed. 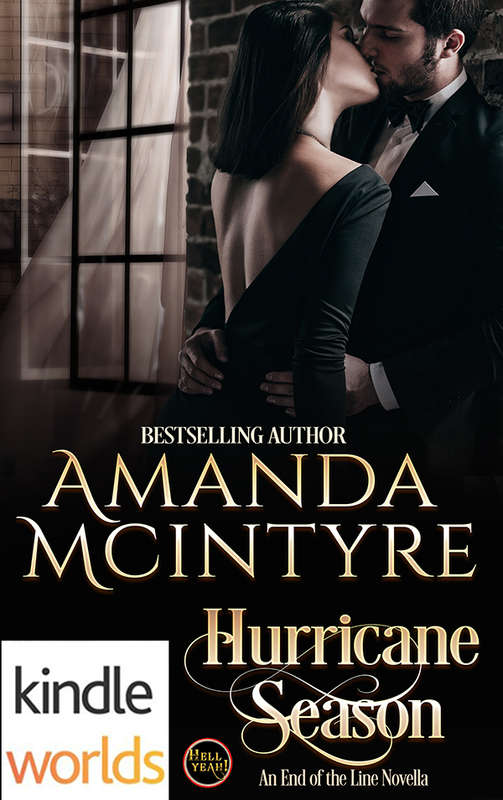 The perfect storm of passion is about to hit Evermore plantation this HURRICANE SEASON! Dr. Gavin Beauregard lost the only love he’d ever known to Katrina. Now more than a decade later, he’s drawn by his past to Evermore plantation and the blistering desire of an ancient legend freed by the melding of a perfect storm. Caroline Richardson plans to spend a girl’s weekend with a friend, but fate, fueled by a passionate legend has other plans as she and a handsome stranger get caught in a whirlwind of desire! And, so do these bikers. Dog has no family left…except for the IGNITION INFANTRY. He has no designs on trying to change that either.Who would have thought that a trip to the local baby supply store would possibly change that?Trixie hadn’t had a picturesque childhood. Left by her mother at the Shady Lady Brothel to be raised by the ladies of the night was quite an interesting way to grow-up. But, they’d done right by her. Hell, they’d done so well that not only had she finished high school early but she’d walked across that college auditorium stage with a degree in her hand by the time she was twenty-three.Now, here she was stocking shelves of diapers and breast pumps when he walked in and flipped her entire world upside down.Dog took a helluva lot more than the few baby gifts he’d purchased for the Isaac and Avery McCoy’s baby that day.Could he really fall for a woman who owns a million pastel teddybears and seems to be obsessed with The Golden Girls?And, could Trixie convince Dog that age is nothing but a number, and that everyone needs a little Sofia, Dorothy, Blanche and Rose in their life? Only one woman can make Gavin risk it all for love. When did she become so bold? Regina Perkins played by the rules. She did what was expected of her and lived life between the lines. No one would ever accuse her of taking chances. Being a risk-taker was not in her DNA. But, the first time she saw Gavin Carpenter, all those things went out the window. Dating the father of a student wasn’t strictly forbidden and to Regina’s mind, that meant she had permission. When did he decide to believe in love again? Gavin Carpenter spent years shielding his heart from women who weren’t any good for him, or his son Riley. After a betrayal at the hands of his son’s mother, he swore off women, and relationships and was just fine with his life. Until she strolled into his life with her soft smile beguiling eyes. Regina Perkins was the one woman who made him willing to risk it all for one chance to hold her in his arms. Matheau ‘Junior’ Mullin suffered an injury when he falls off a bull. Once recovered, and not ready to go home to Winslow, Texas, he joins his uncle’s motorcycle club, Steel MC and finds his one purpose in life. A trip to Hardbodies and a meeting with Isaac McCoy, Junior inadvertently finds the help he needs to complete the healing process, Cady McCoy. Stronger and healed enough to face the unfinished business he left behind in Winslow, he heads home. What he finds when he arrives— is his past love, Dr. Sarah Moore had been keeping a secret from him. Will Sarah’s transgression be the end of their long-term love affair? Or will Junior find he is unable to move past Sarah’s deceitfulness? Corbin MacKay has entered into an online relationship with a woman who lives in the Texas Hill Country After they make plans to get together in the near future and meet “face to face,” she suddenly goes “dark.” Panicked, the trail-riding fireman and former rodeo cowboy, flies to San Antonio to find out what happened to the mysterious blonde who made him willing to take a chance again. As he tries to find her, he learns the woman is not who he thought she was. Cicely Shoemaker’s always been just on this side of the law. However, not all members of her family have been. And, for that, she’s paying the price. A rival of her father’s makes outrageous demands to which she balks. No way will she marry that man’s odious son. With only one chance to get hold of the man she’s fallen in love with, she sets in motion a chain of events that will send her and Corbin into the heart of evil. One Jersey girl, two Texas brothers, and three hearts, about to be shattered. One Jersey girl, trying to find her own path. Two Texas brothers, different as night and day. Three hearts, about to be shattered. sweet, nerdy IT guy, won her heart. guilt, she sticks firmly by Tate’s side. Leona Adieux wandered the streets of the French Quarter wondering what she would do with her life—what her next step would be. As a voodoo practitioner, she found a home in the accepting city. But she still felt unsettled—like something more was out there. As he safety checked the last diving apparatus of the batch, Alphonse Rousseau wondered when he’d find the help he desperately needed to keep Rousseau Dive, on Bayou Teche, afloat. He couldn’t run it alone, and while he believed in all things supernatural, the odd feeling he had of being watched in the dive shop couldn’t be mere coincidence. Especially after the latest bout of rearranged product in the store. Maybe he should get someone over to check things out. When Leona met Alphie the first time, she knew there was something special about him. Besides the physical attraction, there was a spiritual one, as well. He connected with her inner witch in a way no man ever had—even La Vendeuse Macabre owner and voodoo queen, Geneve Gabon didn’t reach her in the primal and powerful way Alphie did. But the dark presence in his shop—connected to the property, best she could tell—sets her on edge. When the sun goes down over the bayou, critters aren’t the only thing stirring. They wanted her dead. He would do anything to keep her alive. Dive into the world of the Equalizers in Sable Hunter’s Hell Yeah! universe. Eva Jimenez faced betrayal and survived when she was kidnapped and held ransom by men who wanted to silence her cousin’s testimony. Now she’s a pawn in a deadly game as the largest human trafficking kingpin has been taken down. Trapped against her will and desperate to survive in a country not her own, she can’t trust anyone. Until Travis. There’s an answering darkness inside him that she can’t ignore, and she’s not sure she wants to. When Travis Callaghan sees the wild look in Eva’s eyes, something awakens inside him. It’s a hunger for life and her that he can’t suppress. She shatters the quiet of his life and leaves him begging for more. 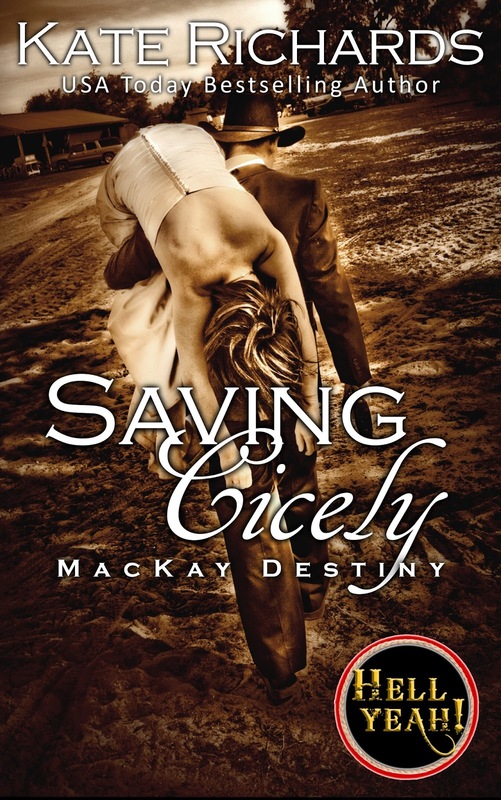 As the bad guys close in, he realizes how much he’s willing to sacrifice to ensure her freedom. Travis must get Eva to the trial. Alive. Against all odds, they’ll have to survive.